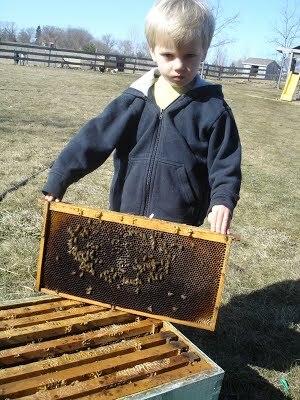 We maintain a small apiary at Pricker Patch Farm. Our hives are state inspected twice a year and never unnecessarily treated with harsh chemicals. 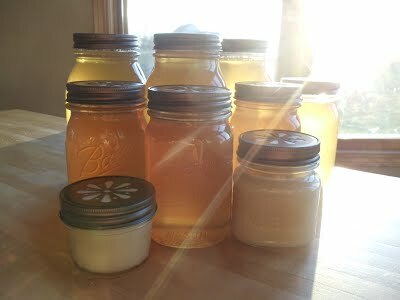 Our honey is strained by hand and left raw in order to supply more of its natural beneficial properties directly to you. We offer raw liquid honey, honey comb, and naturally smooth and creamy crystallized honey, much like the processed creamed honey found in specialty shops. Larger quantities are always available at a discounted price. * receive $1 off following purchases with returned jar and lid!